Canadian Coast Guard ice breakers are heading to the Strait of Belle Isle and the waters between Fogo Island and Change Islands, as ferries remain unable to move in heavy ice in the Atlantic Ocean. The CCGS Ann Harvey began travelling to Blanc Sablon Tuesday to lead the MV Apollo across the heavily-iced Strait of Belle Isle. "The ice on the northeast coast is coming down from Labrador and [over] the last couple days we've had a couple of large storms rolling through, so that's been pushing the ice along the coast which is causing a lot of pressure," said Rebecca Acton-Bond, Coast Guard's acting superintendent of ice operations with the Atlantic region. An icebreaker was also requested for the area of Fogo Island, Change Islands and Farewell, as the MV Captain Earl Winsor ferry is unable to make the run. In the interim, the Department of Transportation and Works has arranged for a fixed-wing plane to transport people back and forth between Gander and Fogo Island. A helicopter will operate on a load-and-go basis between central Newfoundland and Fogo Island, Change Islands and Farewell, weather permitting. A number of tankers are also waiting for the assistance of an icebreaker; however, the icebreaker is also struggling because of the pressure of the ice build up. Acton-Bond said in comparison to last year, the amount of ice coverage is about the same but the pressure is greater. 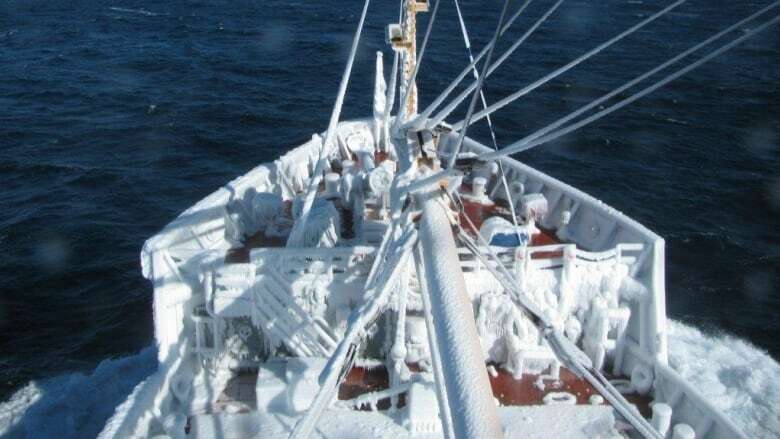 According to the Canadian Coast Guard, Marine Atlantic has not yet needed an ice breaker's assistance.